The Celestron 93882 Kaufman Field Guide to Birds of North America is a helpful buying guide for quick and easy reference. This up-to-date field guide includes names of birds, organized by family grouping (warblers, sparrows, etc. ), addition of new species to reflect the latest scientific discoveries, and various updated range maps. This user-friendly guide also provides valuable advice to help new birders get started, precise for fast identification in the field. 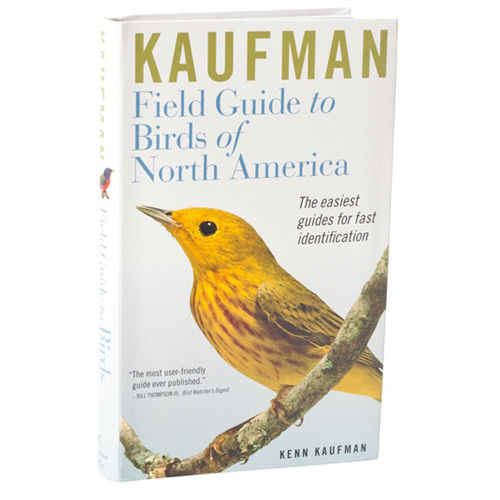 The Celestron Field Guide to Birds of North America has many exciting features for users of all types. You can extend the lifetime of your Celestron Field Guide to Birds of North America with the purchase of a FactoryOutletStore Factory Protection Plan. FactoryOutletStore stocks a full line of accessories like Celestron LensPen - Optics Cleaning Tool, Firecel Portable Charger / Light, and Sport Optics by Alan Hale for the Celestron Field Guide to Birds of North America. The Celestron Field Guide to Birds of North America is sold as a Brand New Unopened Item.